Arizona is not exactly perceived to be in the forefront of places where people do genealogical research but the collections listed below are mind boggling extensive. Arizona is perceived as a place where people from the Midwest go to live and to retire. To the contrary, our heritage (I live in Arizona) actually dates back hundreds of years to Native American and Spanish roots. Historically, the population has been sparse, but recently, with the boom in sun belt living, the state capital, Phoenix, has grown to be the fifth largest city in the U.S.
Arizona has some of the first online collections of digitized vital record images and is still one of the very few states with easily accessible and free, birth and death certificates. Not all of these items are available online as yet, unfortunately. PDF images of the original certificates of birth (1855-1932) and death (1844-1957) This collection should be a model for all of the states. Arizona Memory Project This is really too much to even begin to analyze. It is a really extensive collection. Arizona State University Libraries Online Collections Duplicates some of the material in the Memory Project. Cultural Inventory Project (Arizona State Library, Archives and Public Records)Quoting from the Website, "The CIP includes more than 600 repositories and societies working to preserve Arizona’s past. You’ll find basic directory information, including addresses, phone numbers, emails, and website. The CIP also includes descriptions of each repository’s mission and collections." Hayden Arizona Pioneer Biographies A relatively short list of pioneer biographies. Thousands of digital images of historic significance. University of Arizona Library Web Exhibits An extensive collection of resources on Southwest history and some genealogy. Through Our Parents' Eyes: History & Culture of Southern Arizona Through the use of digital histories presented as images, text, audio, and video, Southern Arizona's history and culture is available to anyone with access to the Internet. Whatever happened to genealogical evidence standards? Donald Lines Jacobus, FASG (1887-1970) is generally recognized as the founder of the modern school of genealogy in the United States. See NGS Genealogy Hall of Fame Members. He is credited with "elevating genealogy to the high degree of scholarship it now occupies." There were, of course, other researchers who were influential in setting a more professional standard for family history, such as Gilbert Cope in Pennsylvania, Colonel Lemuel Chester and Henry F. Waters from New England. Read more: http://family.jrank.org/pages/696/Genealogy.html#ixzz0SaDUjm8d One of the most important developments in genealogical research was the trend towards establishing a genealogical evidence standard, loosely based on the legal standards in our American court system. But let's fast forward to today in 2009. For the past few years I have been teaching classes on genealogy. During those years, I have probably taught and worked with a couple of thousand people. With very, very, few exceptions, I cannot remember any of those hundreds of students, even those who had been active in genealogy for years, who could even articulate a genealogical evidence standard. Most of the students eyes would glass over if I even tried to explain the need for an evidence standard. In contrast to this vast lack of understanding on the part of the ordinary genealogist of the need to examine original source documents, and evaluate them in terms of some standard of proof, standards of proof are implicit in the more professional world of genealogical journal writing. But I am afraid that most of that professional effort is entirely lost in the day-to-day world of the casual researcher. Almost every class taught on genealogy in my area of the world, concentrates on the methodology of genealogy, rather than the philosophy or evidentiary standards. It is time to return to the roots of American genealogy and emphasize the need to be concerned with the degree of proof necessary to reasonably establish a pedigree. In this cut and paste world of names online, it is too easy to find some one with the same surname and immediately assume a connection, without even thinking about the context. In one case recently, I was asked a question by a genealogist about whether I thought two families were related. The researcher had found two families in Illinois in the mid-1800s. They had the same surname (which was relatively common) and the dates were a close match for father and son. As I began to look at the evidence, I noted that although the dates matched, the two families actually lived clear across the state from each other. I indicated that it might be better if they could find some connection other than just the same surname between the families. At this point, the researcher got very huffy, and decided she didn't need my advice after all. She was convinced that the families were related. I am afraid that genealogical evidence standards were pretty much lost on that researcher. If I can just go online and immediately find my ancestor in some huge database, why would I care about evidence, original documents or standards? Those of us who are old enough, might remember savings stamps from the supermarkets. You would get a little book with squares marked off and each time you went to the store you got some stamps to paste into the book. Filled books would get you a discount on some future purchase or even other merchandise from a catalog. I sometimes get the impression that many people think of genealogy like savings stamps, the people they find are just a name to fill into a form, and they get satisfaction from having a completed form. After more than thirty four years of practicing law, I think I am probably overly concerned with the question of proof, but I would hope that the more common world of the casual genealogist would move more towards a reasonable and practical level of proof, rather than ignoring the issue as is presently the most common reaction. According to the official Website, as of September 28, 2009, all of the Stakes in the Provo, Utah Temple District had access to New FamilySearch. Some of the Stakes in the Ogden, Utah Temple District also had access on that date, the remaining Stakes in the Ogden, Utah Temple District will gain access on October 5, 2009. With the Provo and Ogden Temples complete, the next Temple District is the Mount Timpanogos, Utah Temple District, where 15 Stakes will gain access, also on October 5, 2009. It appears that unless the rate of introduction increases that the process of giving access to all of the Wasatch Front Temple Districts will stretch out into the new year. Sometimes when I am doing genealogical research online, I can't see the forest for the trees. Let me give an example. I enter a surname into a Google search, something common, like "morgan." In the first go around, I get over 15 million results. Now, who can actually use 15 million surnames? In the nature of search engines, the most popular results come up at the top of the list, so I get things like the Morgan Motor Company and Morgan Stanley financial services. Following my own advice, I try to be a little more specific and search for "morgan genealogy." Wow, that really worked, now I have only about 4 million results. This example illustrates a research principle, you usually get (or find) what you ask (or look) for and you may not want it. So here is one of the first principles of online research, be as specific as possible. The next search is for "John Hamilton Morgan," who happens to be my Great-grandfather. Guess what? 24,100 results. (This is not really a fair example since I happen to know that John Morgan was quite famous and that there would be thousands of entries about him, but I am using him to make a point). The results include an entire Wikipedia article about him. But the question is what am I really looking for? One thing I noticed when I searched for the Morgan surname was that many of the Websites that came up initially were very general sites with collections of surnames in user submitted files. Now, had there not been about a thousand or so of these files, I might have been tempted at that point to start in looking at various Websites. This is not a good idea. Unless your surname search involves an almost unique name, the possibility of finding an actual relative is rather slim and you can waste a whole lot of time searching at this point. You really need a much more specific research goal before you start browsing through Websites willy-nilly. Another important principle here is the issue of source validation. Sometimes it is difficult to distinguish between a "real" source and someone's copy, especially online. You may wish to consider how to determine if a source is actual or not, by looking for documents from the time period in question. These may be certificates, such as birth, death, or burial records, journals, probate or court records, tax, real estate or school records, just about any actual documentary records about the individual. Now, back to John Morgan, another search, this time for ""john hamilton morgan" birth death record." This time there are just seven results. In this search, I find references to the actual records, U.S. Census and other records, including a biography with source citations. (OK, I admit it, I cheated, I knew the records were online when I started this example). If you want to see another blog that shows how things should be done, look at Ancestral Ties. What happens if you search for a name and don't find anything? Does that mean that the person is not to be found online? Well, to understand the answer to this question you have to know the difference between dynamic and static Web pages. The programs that catalog Web pages for search engines normally find static information, that is, information contained on a static Web page. However, these cataloging programs, like Web spiders, do not catalog dynamic information. There are huge databases of information that will never show up in Google or any other search engine. Let me give an example of material that is not yet on the Internet. This book, "Situación de los libros parroquiales Díaz Vial, Raúl" is in the Family History Library Catalog. The name of the book appears in six results in a Google search, but the contents of the book are only available in the book itself, in the Family History Library. Another example, this time of dynamic information, LeRoy Parkinson Tanner can be found easily in both the International Genealogical Index and the Ancestral File (See both on FamilySearch) but a Google search for his name does not show it in either database. Don't be fooled or mislead by either too much or not enough information from your online searches. There is always one more place to look. In my last post, I began a discussion of some of my impressions during the past, almost, two years of using and teaching New FamilySearch (NFS). In the Fall of 2007, when NFS was first introduced to the Family History Consultants in the Mesa, Arizona Temple District, I understood that there were several goals of the program. After its introduction to the Church members, the program was, at that time, intended to be opened up to access by everyone, both inside and outside the Church. I did not have the impression, again at that time, that the introduction of the program to Church members would take so long that two years later, we would all be still waiting for the remaining Church members in Utah to gain access to the program. Interestingly to me, NFS is still far from well known by the general Church population. Despite its introduction now for almost two years, as I travel to different areas of the Church throughout the U.S., I find very little knowledge of the program, its purposes or procedures. Outside of the genealogy/family history community, there is not only little knowledge of the program, but even less interest. For example, in talking to my children who live in various parts of the U.S., they have barely heard of the program and have no real understanding of what it is or does. I was in a Ward in Pennsylvania today where the topic of family history work was briefly discussed and none of those present had any particular knowledge or acquaintanceship with the program, in fact they were still talking about "Temple Ready" the previous program. During the NFS introduction, I understood several goals of NFS; provide a less complicated method to submit information for ordinance work in the LDS Temples, facilitate the cooperation of family members in doing family history work, avoiding duplication not only of Temple ordinance submissions to the LDS Temples, but also duplication of research efforts. Now, from the perspective of the present time (September, 2009), I have the opinion that only some of these goals have been reached in a very limited way. It is my impression that one of the major obstacles to achieving these goals more completely is the complexity of correlating and combining the massive amount of duplication and misinformation present in the existing records. There is also a basic lack of understanding on the part of the users of the program as to its goals and purposes. I have been in meetings where the attendees were urged to use the program to do their genealogical research and essentially mine the data for additional names submit for Temple ordinances. That is, click on the green arrows and print the Family Ordinance Requests, without doing any cross checking, combining or any other review of the need for these ordinances to be done. As recently as today, one person commented that they had loaded their Personal Ancestral File data into NFS and were ready to print the cards and take the names to the Temple. In other words, there had been absolutely no effort to check to see if the information was not already present in the huge database. I understand that if you are reading this post and are not familiar with NFS, some of the references will not make much sense. But if you are familiar with the program, you will certainly understand what I am talking about. Continuing with the previous thought, in other words, the program allows a user to enter his or her own data directly into the program without any process at all of verifying that the information does not duplicate whatever is already there. In this process, the user is admonished to check for duplicate information, but my experience indicates that many, many users do not even understand what is meant by these admonitions. As a result, many of the submissions I see each week are obvious duplicates. I know this to be a fact, because I have questioned the submission process and this is exactly what is being done. I have also used some of the add on programs, like RootsMagic and Ancestral Quest to enter some of my own information and seen that the programs would easily allow me to upload the files showing the availability of duplicate information, should I be tempted to do so. As for the goal of decreasing duplication in Temple submissions, although I hear statistics that there may be a decrease, from my personal experience, I see a massive amount of duplication. During the past month or so, I have seen two additional submissions for my own grandfather and he was married in the Temple during his lifetime. This discussion will be continued in future posts. Please feel free to make comments, especially if your experience is much different than my own. Almost two years ago, we were introduced to the New FamilySearch program. Since that time, I have spent a considerable time working with and teaching about, this interesting program. Although, it is still not available to those who do not belong to The Church of Jesus Christ of Latter-day Saints (LDS), and not even to all the members yet, the program has had a huge impact on the LDS community. This post is intended to be multipart and comments are welcome and solicited. Nothing in this blog is in anyway officially sanctioned by the LDS Church and contrary to other bloggers who claim inside information, my sources of information come through official channels and my experience with the program is the same as many other users. One of the more obvious changes, is the dramatic change in family history activity in our area. As I have mentioned before, I volunteer at the Mesa Regional Family History Center. Over this past two year period, the number of people visiting the Center has increased and the ratio of LDS to non-LDS visitors has reversed. During the past years, about 60% of the visitors to the Center were not LDS members. That number has now changed to about 60% LDS to 40% non-LDS. We have also seen an increase in Spanish speaking visitors. I have heard numbers quoted that indicate that family history activity has increased throughout the Church. Part of this increase is attributable to the fact that, for the first time, those on New FamilySearch (NFS) can graphically see a representation of their family tree, many for the first time ever. Because NFS is a compilation of the Ancestral File, International Genealogical Index, Pedigree Resource File, the LDS Temple records and membership records, some people who have never done family history research before, have already gotten a significant head start towards compiling a pedigree. This increase in interest has not been without its complications however. There are essentially two opposite poles in the NFS world; those members who have little or no compiled family history and the legacy or pioneer descendants whose lines contain hundreds and often, thousands of entries. These pioneer families pose a huge challenge to those members who get into the program. At this point it is important to state that the NFS program works very, very well. The programmers have done a marvelous job of making an interface that is understandable and easy to use and learn. The problems are mainly with the data. Because the NFS database incorporates multiple sources which have not historically been corrected, for some users, there is a monumental pile of misinformation and confusion. Some of the more common issues include incorrect information, mis-identified individuals, wrong gender, lack of correct connections in the family and incorrectly combined individuals. Most, if not all, of the negative comments I hear about the program are directed at this pile of misinformation. Even living individuals shown in the program may have multiple copies of their information in the NFS file. Commonly, when someone logs onto the program for the first time, their reaction is that the information is either incomplete or entirely inaccurate. This impression is mostly correct. Because each entry may come from multiple sources, the programmers provided for a way to "combine" records in the file. The resulting composite individuals can show amazing variations. For example, (and examples abound), my mother is shown married to my uncle (she wasn't). The next posts will discuss some of the other challenges created by the NFS program. Let me know your thoughts. One of the questions I often get is how do I keep up with all of the different Websites. There is a huge amount of information out there on the Internet and it can be daunting to try to follow even one limited topic like online genealogy. However, there are a number of Web tools that make following blogs and other Websites manageable. The most useful of these online tools is a "Reader." Also known as a feed aggregator, feed reader, news reader or simply an aggregator, this is a program, usually free online, that collects headlines or summaries of Web content such as blogs, news services, and podcasts in a list or other format for easy review. To quote Wikipedia, "The aggregator provides a consolidated view of the content in a single browser display or desktop application. Such applications are also referred to as RSS readers, feed readers, feed aggregators, news readers, or search aggregators. Aggregators with podcasting capabilities can automatically download media files, such as MP3 recordings. In some cases, these can be automatically loaded onto portable media players (like iPods) when they are connected to the end-user's computer." Most blogs and many other Websites, supply a link to an aggregator or reader in the form of RSS or other XML-formatted data, such as RDF/XML or Atom. You usually find the feed link somewhere on the page and by clicking on the link, you can subscribe to the feed. In order to see the feed, you need to install a reader program. I use Google Reader but there are a number of other programs out there, such as, Feedburner, Yahoo!, and many, many others. See Wikipedia for a list. I use Google Reader on my iGoogle homepage and get a list of feeds. I must admit that the list grows almost every minute, especially when you subscribe to as many feeds as I do. From time to time, I just erase everything, especially when the list gets over 100 and I don't have enough patience to look at every feed. One measure of the effectiveness of a genealogy Website is the number of visitors. Although still not a major player in the online world of genealogy, the FamilySearch Wiki is steadily growing in its resources and usability. As of September 25, 2009, the homepage had been accessed 371,941 times. Since this is the number of times some pages are accessed in one day, the number itself is not impressive. What is impressive is to view the list of new pages added by logged-in users. There were nearly 100 pages added on September 24, 2009 alone. This kind of activity in an interest area as focused as genealogy, is impressive. In order for the FamilySearch Wiki to become an even more valuable resource, the number of participants needs to continue to increase. Some of the resources already available on the Wiki are very helpful, in some cases the links to particular geographic areas have nothing listed at all. It is likely, that the main reason this Website is not growing even faster is the lack of links from other major Websites, including even other FamilySearch Websites like FamilySearch.org and New FamilySearch. Just a suggestion, but it seems like all of the FamilySearch Websites should have links to all of the other sites. Just a thought. By September 28, 2009, the Provo Temple District, which includes all of the Student Wards and Stakes at Brigham Young University, will have full access to New FamilySearch. In addition, the Ogden Temple District is scheduled for its first Stake access on September 28th also. With these two Stakes going online, that leaves only the Mount Timpanogos Temple District in Utah Valley and the remaining Temple Districts in the Salt Lake Valley itself to get access. As a user of New FamilySearch and in consulting with other users, I find that the increased activity from Utah and Idaho is having a pretty direct effect on the files. For example, during the past two weeks or so, two more copies of records concerning my own grandfathers have been added to the database. These new additions had to be combined with the existing records. It is apparent that the new people online are simply adding more names to the database without checking to see if the information is already in the file. More records have been added to the FamilySearch Record Search Website. These include the following: (All descriptions from the Website with the spelling corrected). Mexico Census, 1930. Images of population schedules listing inhabitants of Mexico in 1930. This was the fifth census conducted after 1895. Only the schedules preserved in the National Archives were microfilmed. If desired locality is not found, search nearby localities listed. Either the locality was not filmed, i.e. the Federal District, or it is included in a waypoint that has multiple localities. This version of the census includes a front page [lines 1-50] and back page [lines 51-100]. The second page of the census was not scanned if it was blank. The searchable data currently covers the following states: Aguascalientes, Baja California, Baja California Sur, Campeche, Chiapas, Chihuahua, Coahulia, Colima, Guerrero, Quintana, Morelos, Tlaxcala, Nayarit, Tabasco, Sonora, Sinaloa, and Tamaulipas. 29% complete. Italy, Palermo Province, Monreale Diocese, Catholic Church Records, 1530-1952. mages of parish registers (baptisms, confirmations, marriages, marriage supplements, deaths, census, and miscellaneous church documents) of Monreale Diocese, Palermo Province. About half to two thirds of the volumes are self indexed. Slovakia, Presov Region Church Books, (Hungarian Place Names), 1592-1952. Images of baptisms/births, marriages, and burials that occurred in the Roman Catholic, Evangelical Lutheran, and Reformed Church parishes, as well Jewish congregations within the area of Northeastern Slovakia. The original records, created by local priests of each parish and by Jewish rabbis are located in the State Regional Archive of Prešov. These images were scanned from microfilms. The entries are in Latin, Hungarian, Slovak, and German. Four states were added to the 1920 U.S. Census; Mississippi, Montana, New Jersey and South Carolina. Like Wyoming, Alaska is large with a small population. It is the least densely populated state of the U.S. See Wikipedia. I have only known a few people over the years who actually were born and raised in Alaska. As shown below, some of the online resources are actually in other state repositories. Alaska, Western Canada and United States Collection (University of Washington Libraries)Quoting from the Website, "The Alaska Western Canada and United States collection is a digital collection of historic photographs documenting the geographic area of Alaska, Western United States and the Canadian provinces of Yukon Territory and British Columbia. The collection features images of the Oregon, Idaho, and areas of interest in Alaska and the Yukon Territory relating to the Gold Rush of 1898-1900. Included also are images of mining activities, street scenes, Eskimo and Native Americans of the region, hunting and fishing, transportation, and World War II installations." The Alaska-Yukon-Pacific Exposition Digital Collection (Seattle Public Library)A collection of books, pamphlets, invitations, reports, speeches, maps, articles and more from the 1909 Alaska-Yukon-Pacific Exposition. Quoting from the Website, "Alaska's Digital Archives presents a wealth of historical photographs, albums, oral histories, moving images, maps, documents, physical objects, and other materials from libraries, museums and archives throughout the state." The collection is relatively small but probably mostly unique. A selection of books, manuscripts,newspapers and photos. Interesting but not too complete. Digital Archives (LitSite Alaska) "The Digital Archives Partnership is a collaboration between LitSite Alaska and the Alaska's Digital Archives. Alaska's Digital Archives present a wealth of historical photographs, albums, oral histories, moving images, maps, documents, physical objects, and other materials from libraries, museums and archives throughout the state." Just what it says it is. But the site has a very poor online rating, whatever that is worth. Juneau-Douglas History Photos and writings on Alaska history. Alaska State Archives This site has an online Probate index. The Archives have other records such as naturalization records, pioneer home residents, teacher records and vital records but they are apparently not available online. Thanks to a comment to my recent post about Swedish Websites, I note that there are more extensive Swedish sites with online digital resources. The first of these is the Swedish Archives. To quote, "The National Archives (Riksarkivet) is one of the oldest public agencies in Sweden, its history leading back to the Middle Ages. In the 17th century, Chancellor Axel Oxenstierna created a new organization for the record-keeping and the National Archives came into being. Today, the National Archives has the supervision of all public records of the agencies of the central Government, while it delegates to the regional archives the supervision of records generated by regional and local authorities. 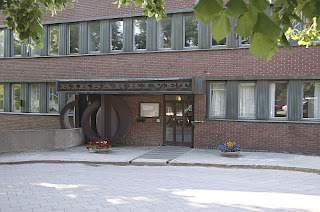 The Military Archives and SVAR (Svensk Arkivinformation) are parts of the National Archives." The Website is only partially in English, so you need a lot of Swedish (or Google Translate or the equivalent) to get around on the site. Click here for a long explanation of their holdings. Some of their online offerings are free but there is a charge to view all of the resources. The Swedish Archive Information (SVAR) has the Swedish Census, Church records, tax records and more. Another mostly subscription Website is the Arkiv Digital. To quote, "Arkiv Digital is a rapidly growing company in the genealogy area that specializes in digitalizing Swedish historical records by taking new photo images of original documents in color. This enormous undertaking has never been implemented by Swedish interests before, and we are very proud to deliver those new color images in our genealogy service AD OnLine!" Check out the Wisconsin Historical Society's Website on Swedish Genealogy. Search Indiko for "70 parishes registered by the Demographic Data Base will be retrievable in Indiko. The material contains approximately 800,000 individuals. Included are parishes from the Skellefteå region, the Sundsvall region, and the Linköping region (6 linked and 36 unlinked parishes) as well as six single parishes." Another major Swedish Website is Slaktdata, a non-profit organizationd dedicated to making indexed Church books available free online. The site is in Swedish and except for Google Translate, you really do need to know some Swedish. Sweden is not known for having free online records. You may have heard of Genline, a commercial Swedish Website with 17,453,462 online images comprising approximately 34,600,000 pages of images. This is a subscription site charging up to $285 US for a year subscription. However, you can also pay by the day, $11 US, or 20 days, a month, a quarter or three years. It is a fabulous Website for Swedish research. But they have the same records that were microfilmed by The Church of Jesus Christ of Latter-day Saints and are available on microfilm from the Family History Library. If you have a connection to Sweden, between the commercial site, Genline, and this wonderful DDSS, you will be able to spend a really long time looking at records. Although Wyoming is the least populous state in the U.S., it is the tenth largest by size. Its online resources are not as extensive as other more populous states but still significant. A Google search for Wyoming digital resources will show a lot of links from other state collections which include historical material from Wyoming. One example is the Western States Marriages Record Index which includes some marriages from Wyoming. Wyoming Memory: A Digital Archive of Wyoming HistoryAn interesting collection of documents, photographs and other media items. Not genealogy specific. More than 900,000 newspaper pages have been converted from microfilm and are available online. You can browse either by county or by city, or search the entire collection. The images are in PDF format. Wyoming State Archives Oral histories, online maps, historic photographs and other resources. University of Wyoming Digital Initiative "Since 2002 the Initiative has collaborated to build digital collections of scholarly and general interest with other partners from across campus, the state of Wyoming, and the region. The Initiative is a member of the Collaborative Digitization Program and is a member of several CDP working groups to establish best practices and projects, including Western Trails, the Rocky Mountain Online Archive (RMOA), and Sound Model. Other Initiative projects include establishing the Wyoming Memory Portal, a gateway to Wyoming’s primary resources; and a collaborative digitization project with the Rocky Mountain Herbarium." (Quote from site). In a comment to my September 13, 2009 post about collecting names vs. family history, one of the comments named me a "pretentious genealogist" apparently because I "vehemently abhor 'name collectors'." I guess I was also surprised to find out that I was a "self-proclaimed expert" so I went back and re-read my own article. After a review, I did find a few more things to say about name collectors, even the variety claimed by the commentator. First of all, one symptom of name collecting is a disregard for documenting and sourcing lineage connections. I have no way of knowing if this particular commentator documents his sources or not, but a lack of documentation is an indication that the person has no real interest in the family, at least not enough to find out who they were beyond a mere name. The validity of a lineage is not in the number of ancestors, but in the depth of the understanding of the individuals and families in their historical context. If it is pretentious to document every relationship and every event to the extent possible, I guess I am pretentious. I am usually quite willing to share my complete files, including all of the current sources, with any interested family member, but I do resent people who then publish the lineage as if it were their own. Usually, it is not too difficult to identify someone who has no idea about the content of their own file, parts of the file are so vastly different than others. A careful documented lineage contains a degree of consistency lacking from a cut and paste genealogy. I happen to come from a family that has a lot of records, including published family histories and a multitude of researchers. In my initial survey of my family lines, I reviewed hundreds of my predecessor's family group sheets comparing them to determine the accuracy of the prior research and to build a credible family line. If the family sources differed, I began to research original source records to determine a rational basis for extending the line along a certain branch. I must say that many times I found the claims made by my family members to be unsupported by historical research. I guess to the extent that I built my original family file from the work of others, I too was a "name collector." But, I did not let my search stop there, I continued to research dubious connections in the original records until I was satisfied that the claimed relationships in fact, did exist. For example, at one point, some of my relatives claimed a relationship to the American frontiersman, Daniel Boone, mainly because his mother was Morgan, one of my family surnames. It didn't take more than a couple of hours of research to disprove that claim. There was no connection between the wife of Squire Boone and my own family. One distinction between a careful researcher and a name collector, is the desire for truth, even at the expense of losing a connection to a famous ancestor. I guess if I prefer truth over a fanciful lineage, I must be a self pro-claimed expert and very pretentious. The bottom line is simple, I don't believe anything about my family line I can't verify from consistent sources. As long as a fact is unproven, it is a mere allegation. FamilySearch has issued an updated list of FamilySearch Affiliates. To quote the Website, "FamilySearch Certified Affiliates are third-party companies and organizations that provide products and services with features that are compatible with FamilySearch programs. Certification indicates the affiliate’s declaration of compliance with FamilySearch requirements. Note that these products and services are independently developed and supported by their respective organizations, not by FamilySearch." Check out some or all of these newer products. Record Search Pilot, the online digital collection of images and indexes from the FamilySearch Indexing project, has added a large number of new collections to their resources. All of the following descriptions are from the Record Search Website. These include"
New York State Census, 1892 which includes the Name index and images of population schedule of the census of New York taken by that state in 1892. This 1892 New York State Census is an every-name index to the state's inhabitants as of February 16, 1892. The counties included are: Allegany, Cattaraugus, Cayuga, Chautauqua, Chemung, Chenango, Cortland, Delaware, Erie, Kings, Livingston, Monroe, Montgomery, Orleans, Otsego, Rensselaer, Rockland, Saratoga, Schoharie, Steuben, Tioga, Ulster, Washington, and Yates. Pennsylvania, Philadelphia Marriage Indexes, 1885-1951 which is described as follows: Marriage indexes are arranged by the names of brides and grooms with the year of the marriage and the license number. The surname of the spouse is shown in parentheses. Use the license numbers listed in this index to find copies of the marriage license records. Marriage license records for years 1885-1915 are available on microfilm at the Family History Library and Family History Centers. Marriage license records for years 1916-1951 are available at the City Hall in Philadelphia, Pennsylvania. United States Census, 1920 finished up to 43 %. Wisconsin State Censuses for 1875, 1885, 1895 and 1905. British Columbia birth registrations, 1854-1903. Mexico, Tlaxcala, Civil Registration, 1867-1937. Hungary Pest-pilis-Solt-Kis-Kun, Budapest Civil Registration 1895-1972. Slovakia, Presov Region Church Books, (Slovakian Place Names), 1592-1952, which includes Images of baptisms/births, marriages, and burials that occured in the Roman Catholic, Evangelical Lutheran, and Reformed Church parishes, as well Jewish congregations within the area of Northeastern Slovakia. The original records, created by local priests of each parish and by Jewish rabbis are located in the State Regional Archive of Prešov. These images were scanned from microfilms. The entries are in Latin, Hungarian, Slovak, and German. Argentina, Tucuman, San Miguel de Tucuman, Catholic Church Records, 1727-1949. With this post, I start a new series. I will devote one post (or more) to each state's online digital archive collections useful to genealogists. I do not pretend that my list will all inclusive, I think that might be a physical impossibility since new collections are coming online at a furious rate. Where appropriate, I will comment on the content of the sites. ADAH Databases (Alabama Department of Archives & History) Contains a Civil War Service Database, an 1867 Voter Registration Database, a World War I Gold Star Database, a Photo Database (doesn't work with FireFox) and many others. Alabama Department of Archives and History Many interesting collections including the WPA Alabama Writers Project with a collection of several hundred ex-slave narratives, life histories, short stories and folklore. Alabama MapsContains 39,431 maps and 11,406 air photos. Alabama Mosaic AlabamaMosaic is a repository of digital materials on Alabama's history, culture, places, and people. Its purpose is to make unique historical treasures from Alabama's archives, libraries, museums, and other repositories electronically accessible to Alabama residents and to students, researchers, and the general public in other states and countries. Archives of Wiregrass History and Culture (Troy University - Dothan Campus) A huge collection of online materials including more photographs and some family records. Auburn University Digital Library CollectionsMore online collections including the Caroline Dean Wildflower Collection (doesn't have much to do with genealogy but they are pretty). Birmingham Public Library Digital Collections Thousands of images and reference materials including another almost 1000 maps. Digital Collections (Jacksonville State University Library)Another collection of collections including the Oral History Collection. Historic Postcards of AlabamaOne of two such collections, I'll let you find the other in a link above, this one has Historic Postcards of Alabama representing a sample from the Sturdivant Hall Collection held at the William Stanley Hoole Special Collections Library at The University of Alabama. University of Alabama Digital CollectionsIncludes the Confederate Imprints Collection of Sheet Music and many other digital collections. I hope you enjoy browsing these huge collections from Alabama. I think I will not go through the U.S. in strict alphabetical order, it is too confining. Just when you might possibly believe that there were no more huge collections of online genealogy resources, along comes The United Nations Educational Scientific and Cultural Organization with its Archives Portal. Styled as an international gateway to information for archivists and archives users, it is one of the most complete and up-to-date sites I have encountered recently. I am constantly surprised that there always seems to be another huge Website missing from everyone's compilation of the 40 or 100 or whatever best Websites for genealogy. Even if you spent the next couple of weeks online it is unlikely that you could begin to review all of the links to possible sites. Not all of the linked resources are online but the listing of possible sources seems to be endless. Its not so much that the links are that extensive, it is that the links themselves lead to other sites with even more links to archived material both online and in physical repositories. Thanks to Renee Zamora's post of 14 September 2009 for the update on the release of New FamilySearch to the Wasatch Front Temple Districts. I have been looking at the Utah/Idaho releases on a regular basis but I guess I got busy and missed the latest news. I guessed that Provo would probably be next Temple District to go live from my family members who live in Provo. But it looks like to me that the announcements are only going to come out a few days before the actual introduction. 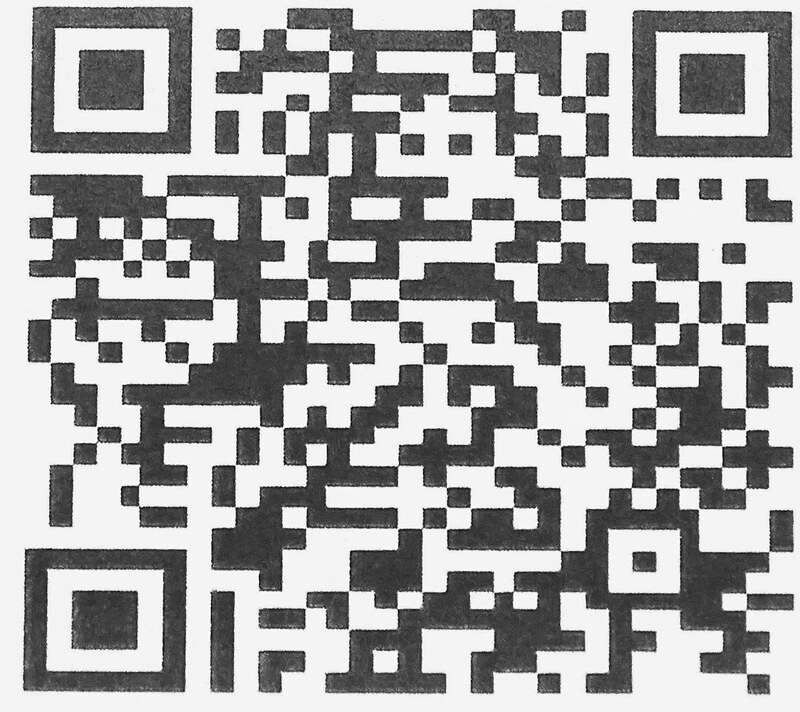 The Idaho Falls Temple District is now all online with New FamilySearch as of yesterday, 14 September 2009. We'll have to see if any more dates pop up on the announcement page. See News and Updates. I guess we'll have to figure out something else to talk about once all the Temple Districts in Utah are online with the program. "A thorough understanding of the modern land law is impossible without a knowledge of its historical background." Moynihan, Cornelius J. Introduction to the Law of Real Property: An Historical Background of the Common Law of Real Property and Its Modern Application. St. Paul, Minn: West Pub. Co, 1962. That phase has been underlined in my real estate law book for more than 35 years and it is as true today as it was that long ago. As it states in the case of New York Trust Co. v. Elsner, 256 U.S. 345 at 349, 41 S. Ct. 506 at 507, 65 L.Ed.963 at 983 (1921) "Upon this point a page of history is worth a volume of logic." Likewise, for genealogists, a point in the page of history is worth more than bare dates and sterile lists. As Mr. Justice Cardozo said back in 1921, this is a field in which there can be no progress without history. Cardozo, Benjamin N. The Nature of the Judicial Process. New Haven: Yale University Press; [etc. ], 1921. It is interesting how the quotes concerning understanding land law also apply so appropriately to genealogy in general. If you try to ignore the historical context of the times and places you research, you will find that you can make no progress. In the case of Anglo-American land law, the foundation was laid with the Norman conquest in 1066. In an early writ (order) dating from April of 1070, William I ordered the abbot of Bury St. Edmunds to "give into my hand all the land which those men held who stood against me in battle and were slain there, who belonged to St. Edmunds' soke. See Reg. no. 37. A soke was the lord's power or privilege of holding a court in a district, as in manor or lordship; jurisdiction of causes, and the limits of that jurisdiction. The significance of this writ, and others, was that William I established himself as the legitimate successor of Edward the Confessor and therefore, had all of the rights and prerogatives of an English King. This action resulted in the redistribution of all of the English lands and established fewer than two hundred major honours where there had been several thousand smaller Norman estates. This change in ownership established what is knows as feudal tenure. You might as well face it, the amount of information contained in land records is huge, but it is locked up in arcane and often obsolete legal terminology. Understanding the language unlocks the information in these old records. The modern concept of land ownership or estates have their origins in the 13th Century in England and the methods of land ownership in the United States are derived almost entirely from very early English precedents. The word "estate" itself, dates from feudal times and comes from the Latin word status when a person's ownership of land was connected to his political and personal status in the community. Genealogical research into land records, especially older records, will quickly illustrate the need for an understanding of both the terms used and the historical context. Land ownership in Anglo-American law is measured in terms of time. The maximum allowable interest in an estate is known as a "fee simple." The term "fee" used in this context means ownership and the additional words added describe the term of ownership. A fee simple is the largest possible estate or ownership in real property. It is sometimes referred to as a fee simple absolute. If the duration of ownership is dependent on any conditions on the grant of title, then the fee is said to be defeasible. There is however, a concept of land ownership more extensive than a fee simple, that is, allodial title where land is owned free and clear of any encumbrances, including liens, mortgages and tax obligations. Allodial title is inalienable, in that it cannot be taken by any operation of law for any reason whatsoever. See Wikipedia. There is yet another fee interest in land, uncommon today, called fee tail or entail. It describes an estate of inheritance in real property which cannot be sold, devised by will, or otherwise alienated by the owner, but which passes by operation of law to the owner's heirs upon his death. The term fee tail is derived from the Middle Latin foedum talliatum, which means "cut-short fee." See Wikipedia. Fee tail has been abolished in all but four states in the United States: Massachusetts, Maine, Delaware and Rhode Island. However, in the first three states, it can be sold or deeded as any other property would be (the fee tail would only control on death without a will). In Rhode Island, a fee tail is treated as a life estate with remainder in the life tenant's children. New York, for example, abolished it in 1782. Many other states within the U.S. never recognized the fee tail estate at all, as most of the land in the United States of America was deemed allodial. See Wikipedia. From time to time, I will continue this discussion of the law of real property as it relates to genealogy, because it is always a very good idea to get a basic understanding of the terminology. The use of some of these terms in old wills, deeds and other documents can have tremendous effect on the way the land was transferred and many of the terms, such as the use of a fee tail, can convey very specific ownership interests, which if missed, can make a lot of the subsequent transfers impossible to understand. Except where noted, see Moynihan, Cornelius J., Introduction to the Law of Real Property: An Historical Background of the Common Law of Real Property and Its Modern Application. St. Paul, MN: West Group, 1962. From time to time, I encounter individuals who have huge family files comprising tens of thousands of names. These people, who I will call name collectors, seem intent on compiling the largest collection of names possible. Usually, they have absolutely no idea who any of the people actually are, but they take pride in the huge number of individuals. Name collectors are neither genealogists nor family historians. With today's technology and a few GEDCOM files anyone can have a huge collection of names. Often, these collections date back well into the Middle Ages and beyond. It is not unusual for someone to claim their genealogy goes all the way back to Adam. I first ran into this problem years ago while doing my first survey of what research had been done in my family. I found a whole series of family group records extending the family line back and back in time to before 900 A.D. The sheets claimed to be the ancestors of Richard Warren, of the Mayflower. As the line kept going on and on, I became skeptical that anyone had actually made a valid connection between this long pedigree and Richard Warren of the Mayflower. I also soon found that no one had actually proved Richard Warren's parentage in England. As one Website by Caleb Johnson put it, "Richard Warren's English origins and ancestry have been the subject of much speculation, and countless different ancestries have been published for him, without a shred of evidence to support them." Since that time, I have found several instances in my own family of extensive unsupported pedigrees. I find it difficult to believe that someone, wanting to claim a huge family file, would change the name of their father or grandfather to "adopt" someone with a long lineage of ancestors. But this is done all the time by name collectors with remote ancestors. They find a long ancestral line and decide they must be related. Their remote ancestor, John Smith who was a poor farmer, must have really been the famous John Smith with a huge pedigree. Historically, genealogists had a really bad reputation for doing just that, compiling false pedigrees to satisfy people's vanity and to make someone appear to be important. The problem is, the practice has not stopped. Name collectors do the same thing today. What is the harm in having a huge family file? Who cares anyway? One problem, I have seen, is that people just starting out in family research are intimidated by the huge numbers and files. How would you feel if you were trying to find your grandfather and someone tells you they have 35,000 names in their family file? You might decide that you will never find that many names and just quit. Some really good genealogists do have huge family files, but even professionals do not have the same level of confidence in the accuracy of every name in a big file. Think about it, if you had 35,000 names in a file and spent only five minutes looking at each one, it would take you more than 2900 hours to look at all the names. It is also important to address the issue of quality. There is certainly more value in a well documented file with a few names than a huge file with no idea of source or validity of the names. Another problem arising from the lack of documentation of the name collector's files is that people just might believe the information. After all, it is a huge file and therefore must be true. Sometimes when I ask someone with a huge file going back into royal lineage where they got the information, they admit that they copied another file from someone else. It is not the copy that is the problem, it is the thought that the mere possession of a huge list of names is somehow validating. Meanwhile, if someone comes into the Mesa Regional Family History Center and asks for help with a huge file going back to Charlmagne, I will still be as pleasant as possible. Maybe they really are related to him? Brazil, Pernambuco Civil Registration, 1889–2003 1,639,242 Updated collection with new searchable images. Czech Republic, Northern Moravia, Opava Archive 120,412 Updated collection with new searchable images. Hungary Pest-Pilis-Solt-Kis-Kun, Budapest Civil Registration, 1895–1972 520,274 New image browse only collection. Mexico, Chihuahua Catholic Church Records, 1622–1958 322,386 New image browse only collection. United States, Arkansas County Marriages, 1837–1957 234,570 83,094 Updated collection. Added 15 additional counties. United States, Illinois Cook County Marriages, 1871–1920 291,351 291,228 Updated collection with new images and index content. United States, New York State Census, 1892 2,714,193 19,634 New index and image collection. United States, Pennsylvania, Philadelphia Marriage Indexes, 1885–1951 1,830,468 25,846 New index and image collection. The interesting thing about these new collections can be found from clicking on each collection from the browse collections menu. For example, clicking on the Arkansas County Marriages, 1837-1957 brings up a search screen for the collection. Down at the bottom of the page, there is another link "About this Collection." Previously, this link brought up sort-of a generic description of the collection. Now, the link ties into the Wiki FamilySearch page for that particular collection. This is a major advantage. The Wiki site has more links and a lot more explanation about the collections. It also means that all of the collections in the Record Search are now in the Wiki, making that resource priceless in finding the scanned images you need. So now, go directly to the Wiki FamilySearch, not to the Record Search site, if you want to actually find some useful information. This is a "Wow, guess what I found" kind of event. One of my remote great-grandfathers moved from Rhode Island to New York. All of the published family histories had the story but the move had never been documented or, at least, the source had never been recorded. In reading through early Rhode Island town records, I discovered the real estate tax rolls for the town where they lived. In the tax rolls, I found the family listed year after year, and then they disappeared. This event gave me source for the timing of their movement to New York, thus documenting the family story after more than a hundred years of combined family members' research. I find that very few genealogical researchers search land records even though they are more or less as available as any other type of records. For example, the Maryland Judiciary, the 24 elected Court Clerks of Maryland and the Maryland State Archives have joined in partnership to provide up to date access to all verified land record instruments in Maryland. This service is currently being provided at no charge to individuals who apply for a user name and password. There are huge databases such as the one maintained by the Bureau of Land Management for the General Land Office Records containing access to Federal land conveyance records for the Public Land States. The site also provides image access to more than three million Federal land title records for Eastern Public Land States, issued between 1820 and 1908. Currently, we are adding images of Military Land Warrants. These land patents were issued to individuals as a reward for their military service. About.com:Genealogy also has a helpful list of Land and Property Records. Many of the state land offices or county land offices (commonly called the County Recorder) have searchable online indexes to property ownership and some have copies of deeds and other records. Another example, the Massachusetts Secretary of State has a Website linking each of the County Registry of Deeds Offices. The Barnstable County Registry has indexes and images complete from 1704. (I have mentioned this before). The Northern Bristol County Registry of Deeds goes back to 1686. Stay tuned for more posts about land records and terminology. Perhaps a couple of examples will illustrate the reason for my recent posts on brick walls. I have the opportunity to talk to many people every week about their genealogy and for that reason, I frequently have comments about difficulties in finding one certain individual, sometimes a direct line relative but often a collateral relation. Often, these researchers become so consumed with finding the information about the difficult individual, they spend most of their research time going over and over the same sources, trying to find another piece of information that will unlock the puzzle and let them move on to other parts of the their family. Partially, I believe, because the situation is called a "brick wall" people become obsessed with finding the information. Many times the person becomes so involved with one or a few individuals, that they put the rest of their family research on hold until that one issue is resolved. In my own case, for lack of a birth place for a great-grandfather, the publication of a whole family history has been delayed. I am likely writing this analysis as much to see why I feel it is so important to find that one missing piece of information, when I have so many other lines to investigate. I see my own issues, reflected in so many of the researchers I help at the Mesa Regional Family History Center. Sometimes the people become so obsessive, that they reject any and all suggestions that there may be some other explanation or alternative time or location. Frequently, researchers are looking for records that really do not exist. From time to time, I find people who are ignorant of the local history and are looking in the wrong county or even the wrong country. Other times I find people who find someone of the same name and immediately assume they have found the right person and then spend years trying to justify the assumption. The concept of a "brick wall" does not allow for the elimination of negative information, because the concept focuses on finding positive facts, not in eliminating all possible sources. Because they are trying to break through a brick wall, they think that they are wasting their time if they look through a record source and do not find any information. They do not realize that eliminating one record source is progress. For example, the fact that a person does not appear in a certain U.S. Census year, may have significance for future research, if you can actually assume you haven't somehow overlooked the record due to spelling issues or some other factor. Genealogical research is a complex process of setting goals, identifying sources, searching and evaluating information and then comparing the information to existing information for consistency. After recording the information and citing sources, you start all over again. The idea of focusing on finding one individual or one fact is contrary to the whole concept of research. Historical research efforts should not be focused on one fact but on the whole picture. Before you can address finding one individual or one date, you need to understand the bigger picture and have the perspective to know whether or not the specific information you are searching for is even possible to obtain. You can still see the whole picture of a giant puzzle, even if one piece of information is missing. Don't confuse "end of lines" with "brick walls." Consultants in the all of the remaining Utah and Idaho temple districts have been sent instructions to begin viewing the online training modules. These consultants may also begin using the new.familysearch.org Web site. In a recent article in the print edition of Family Tree Magazine, Lisa Louise Cooke listed six very large online collections of maps. This list got me thinking and I decided visit a few of the sites and some others besides those in the magazine. The largest collection of maps listed was that of the National Library of Australia. However, the article claims that there are 300,000 maps in the collection, but the Website states that there are " Over 7225 items from the Map Collection are now accessible online. To review our progress read Maps digitisation - progress so far and Digitisation - overview." "The Maps digitisation - progress so far" article states that as of 30 June 2009 they had digitized 8,856 items, consisting of 16,775 images. Still a very valuable collection. 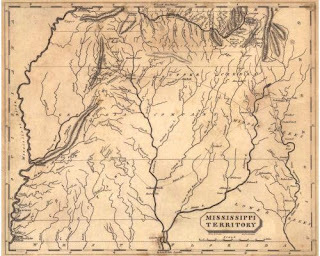 One small source for finding map collections is the Cartographic Information Center of the Louisiana State University, Department of Geography and Anthropology. This smaller site refers you to a much more extensive collection, the Perry-Castañeda Library Map Collection of the University of Texas Libraries. The links provided by this Website are extensive and way too long for this post. One significant collection, although regional, is the Historic Maps Online of the University Library of the University of Illinois at Urbana-Champaign. One of the largest collections of maps in the world is in the New York Public Library. To quote their site, "Established in 1898, the Map Division today holds some 431,000 maps, 16,000 atlases and books about cartography. The collection is international in scope, and dates from the 16th century to the present, with a focus on cities, especially New York City. Computer mapping and Geographic Information Systems [GIS] are new programs of the Map Division. Six computer mapping workstations are located in the newly renovated Map Division for public use." The collection includes the online collection of over 1,000 maps of North America from the earliest printed portrayals to the close of the 19th century; multiple versions and editions allow for historical comparisons. There are really an almost endless variety of maps and collections. My own state of Arizona, has some of historical birth and death certificates online, but that is about it. There are a few other online indexes and a very limited Arizona Biographical database. Even access to the State Library has been curtailed due to a chaotic budget situation. Let's hope that other states see the importance of making their records readily available to the public and especially to genealogists. Is there a wiki in your genealogy future?